This winter has been very long and cold this year. Every time I thought that this will be the last snow of the season, and everyday I woke up to see the white blanket covered streets. This gloomy grey and dark weather had made everyone very depressing. So to brighten up the mood of my family, I made this delicious colorful dessert which is a treat both to eyes and tummy. I tasted this for the first time when I was in London for the Plate to Page Program and it was love at first bite. Eton mess is a traditional English dessert consisting of a mixture of strawberries, pieces of meringue and cream, which is traditionally served at Eton College’s annual cricket game against the pupils of Harrow School. The dish has been known by this name since the 19th century. 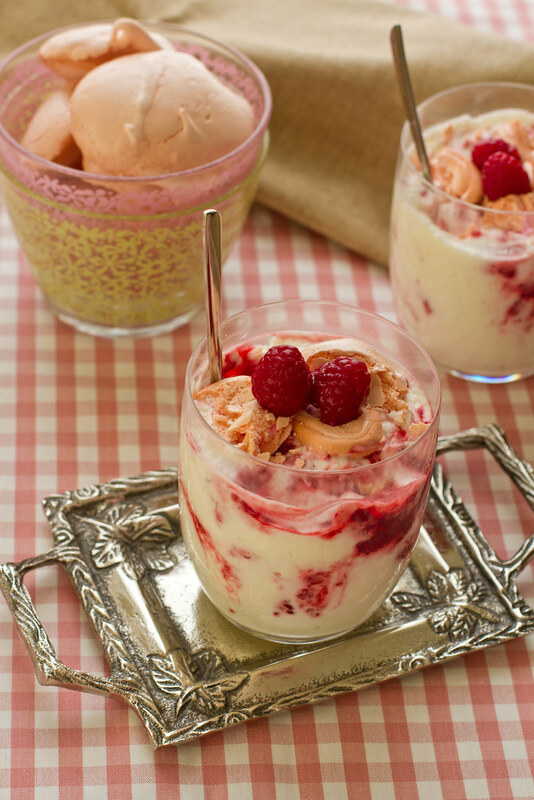 An Eton mess can be made with many other types of summer fruit, but strawberries are regarded as more traditional. Pre heat the oven to 150 C. Line a baking tray with parchment paper. Set aside. Take Egg whites in a clean dry bowl, add in salt and whisk till soft peaks. Now slowly add in sugar while whisking continuously till stiff peaks form. Scoop large tablespoons of the mixture on to the tray, with help of two spoons or using ice cream scoop. Or you can pipe the mixture using a piping bag. 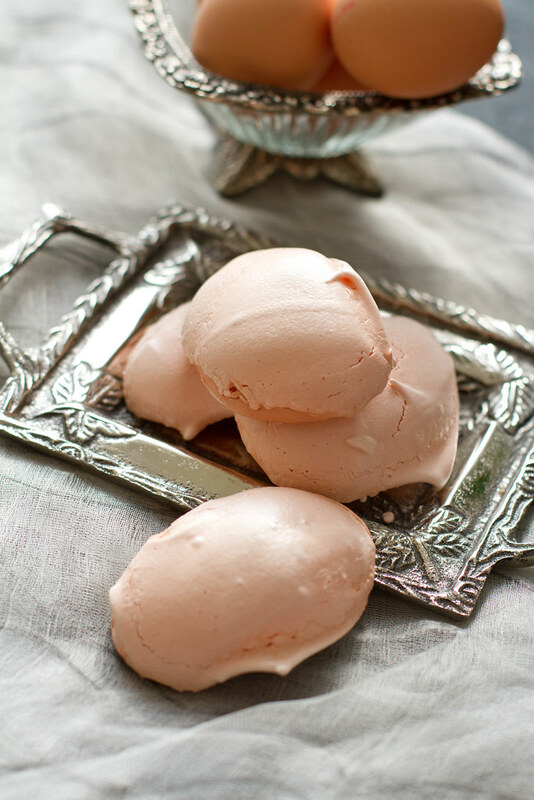 Leave some space between each meringue. Put the baking tay in the middle rack of the oven, and bake for at least 1 and half to two hours. Once done, take them off the oven and allow them to cool. Wash the raspberries and roughly mash them. Add in 2 Tbsp of sugar and let it sit for few minutes. Take cream and sugar in a bowl, add in rose water and beat till stiff peaks form. Add in the raspberries and mix lightly with a spoon. If serving individually, layer the cream and raspberry mixture and layer it with broken meringue pieces repeate two or three times. 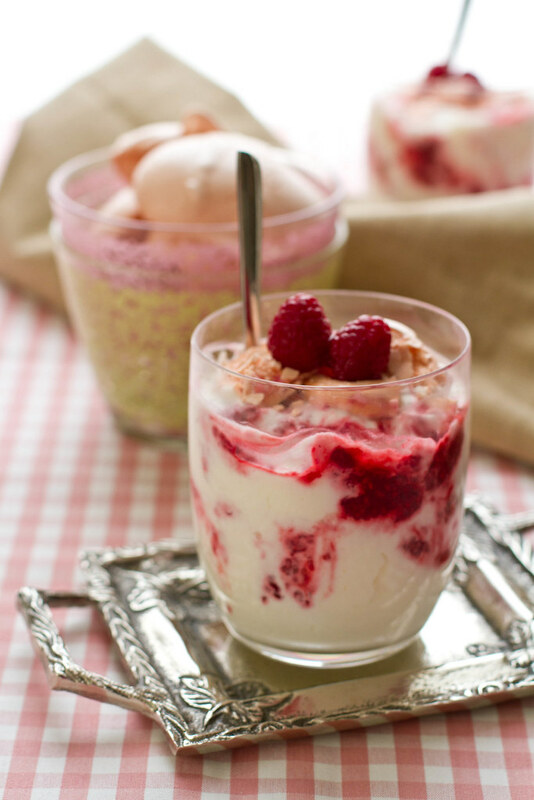 Or Mix broken meringue pieces and cream and raspberry mixture and serve immediately. 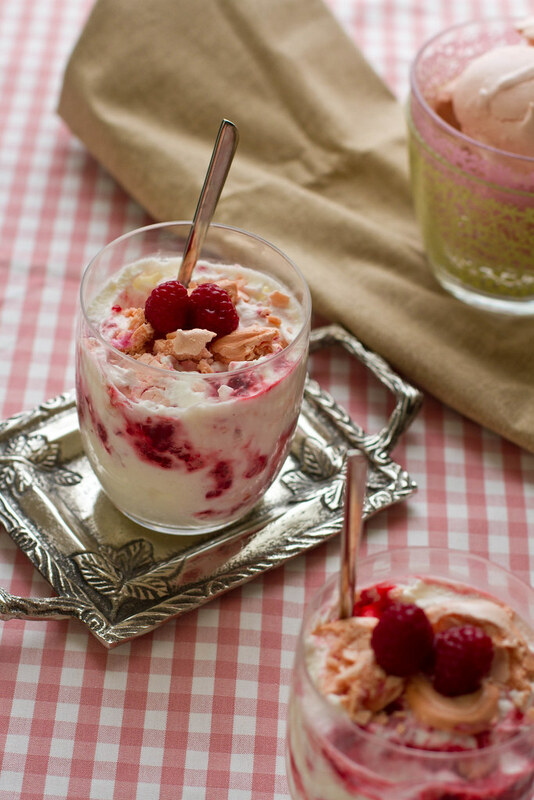 I love Eton mess and yours look so creamy delicious. its like a wonder to me . Hope Ansh enjoyed it.